A reflection on the nature of fame in the digital age. Source image is a picture of Emma Watson, put through each filter that is available on instagram. Superimposed is a text, which originally read “I’m in love with the real Emma Watson.” The text was then put through various translations through google chrome, ultimately being translated into Japanese then turned into word art using Microsoft Word. A sprite of a car featured on the 1986 Sega Genesis game, Out Run, was also pasted onto the bottom of the picture as a reference to the depictions of artificial love and rampant capitalism that was a staple of that era in Japan. The image file was then put into a hex editor where line 0006960 of the hexcode was edited to include Shakespere’s Sonnet 69. 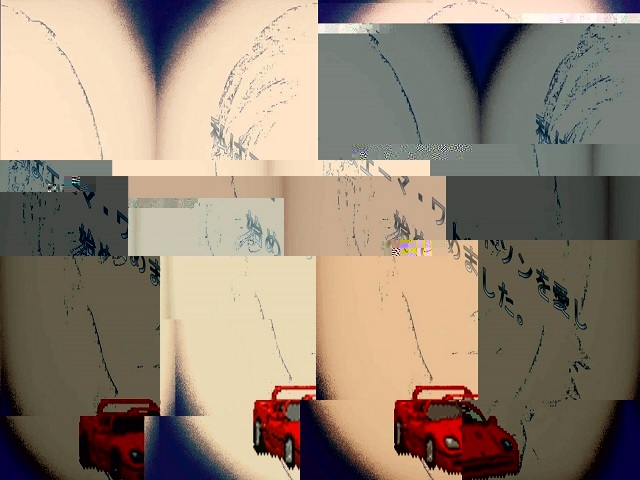 Line 000A420 was also editted to read “The Real Emma Watson.” The result was an entirely corrupted file of the original image. It is worth noting that any reupload of this image would ultimately alter the hexcode of the file itself due to compression.